How can it be that in these days people are healed? How do miracles work? Is it just imagination? No, it’s our God, who heals. He is not a fictional figure, but He is the real existing creator of this universe. He wants to heal us from our diseases and wounds. 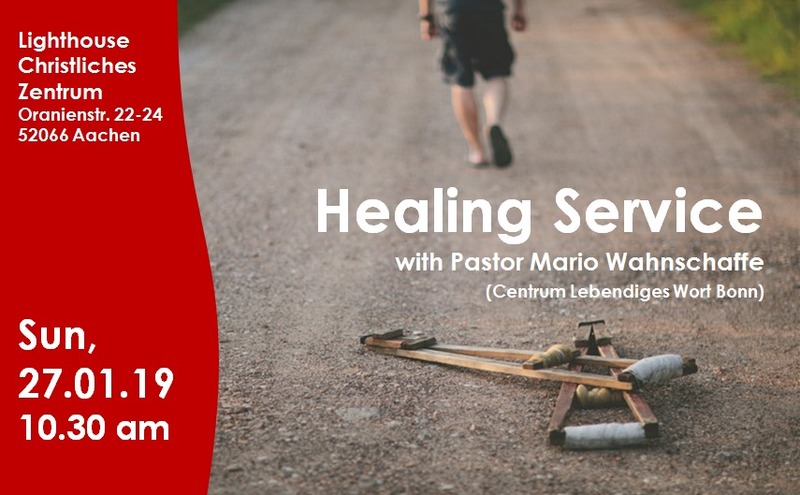 We cordially invite you to the new year healing service with Pastor Mario Wahnschaffe , on Sunday, Jan 27th, 10:30 am. Don´t miss God’s wonder. Bring all your friends with you. Looking forward seeing you there!